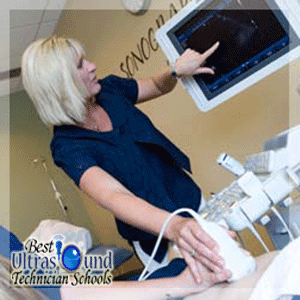 Sonography is in high demand, with a growing number of positions for skilled professionals opening regularly. If you are looking to pursue a career as a sonographer Baltimore may have just what you are looking for! In addition to its rich history and prime tourist spots, Baltimore also boasts two accredited ultrasound technician schools to help you reach your goals and get started on your dreams. Find Accredited Ultrasound Technician Schools in Baltimore. Both Johns Hopkins Hospital and University of Maryland Baltimore County offer certification for ultrasound technicians that is CAAHEP Accredited. In addition to CAAHEP accreditation, University of Maryland Baltimore County is ARRT Recognized. Sonography Education in Baltimore. Johns Hopkins Hospital is not only one of the most respected names in the medical field it also is home to one of the most established training programs for general and cardiac ultrasound technician certifications. The Johns Hopkins Hospital School of Cardiac Sonography Echocardiography Program is a 14-month full-time accredited program. Ranking fourth in the nation as a major research university, University of Maryland Baltimore County offers training for general, cardiac, and vascular ultrasound technician certification. UMBC’s Certificate in Diagnostic Medical Sonography is an accelerated 13.5 month accredited program. To be certified as a Registered Diagnostic Medical Sonographer (RDMS) you must pass an examination overseen by The American Registry for Diagnostic Medical Sonography. The classes at these Baltimore schools will prepare for the examination. Salaries for Ultrasound Technologists in Baltimore. Salaries for a Diagnostic Medical Sonographer in Baltimore vary greatly depending on your certification, experience, specialty and specific location, with the mean sitting just under $72,000. A general ultrasound sonographer in the area averages $53,000, with specialists earning $100,000 or more a year.List of Diagnostic Medical Sonography Programs in Maryland. Additionally, if you wish to pursue additional training, Montgomery County Community College in Takoma Park is the only local school offering an associate’s degree in sonography. With its variety of certifications and degrees from top notch educational facilities available locally, Baltimore is the perfect place to study for the aspiring ultrasound technician!